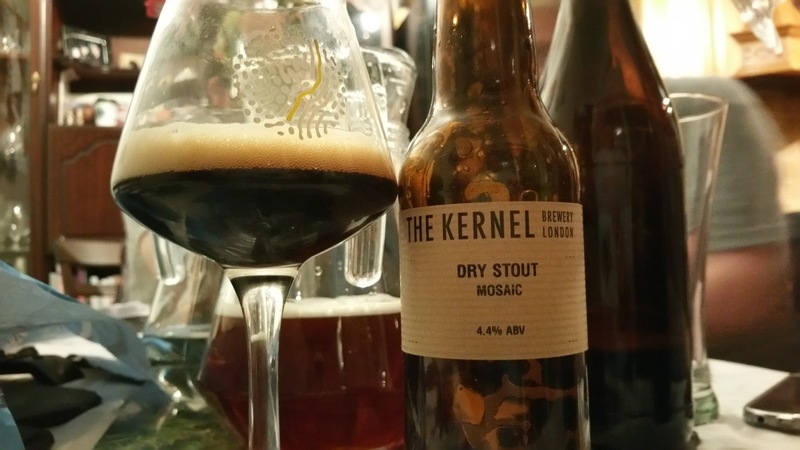 OK bear with me here as there's a lot of beer to get through in this post. 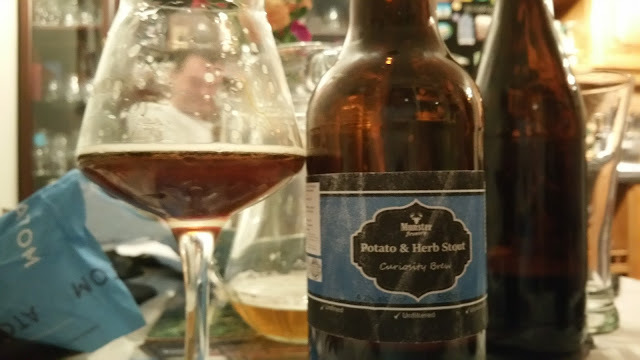 Last month, I had an epic beer tasting with Steve Lamond (BeersI'veKnown) at his house. It was a pretty intense night and we had a lot of beer to get through. Most was excellent, some was a little past its best. 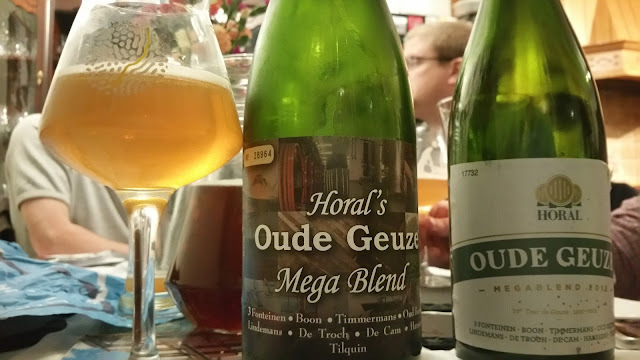 Steve keeps a lot of beer in his cellar for big tastings like this. 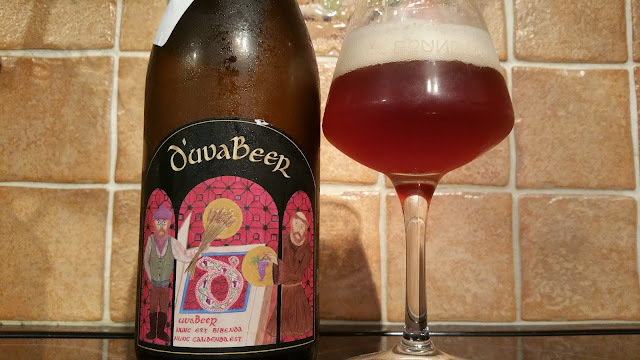 We started off with lovely LoverBeer D’uvaBeer. It's an 8% Flanders Red to eh, calibrate our palates. A lovely tartness but it didn't taste its strength at all. 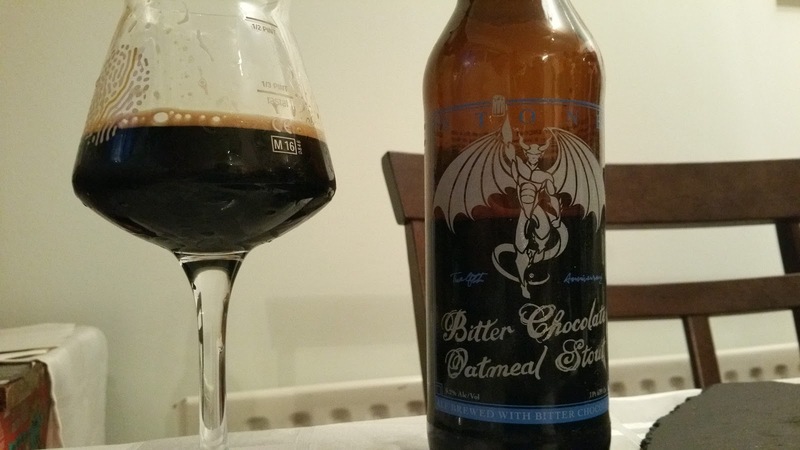 Palates cleaned, we moved on to a 2015 release of Stone's Bitter Chocolate Oatmeal Stout. 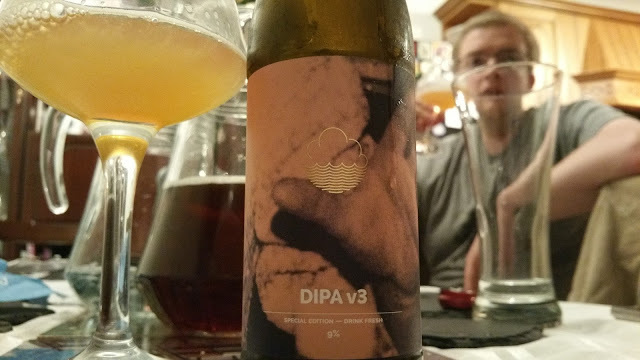 This brought us up in ABV to 9.2% and way up in the IBU scale. 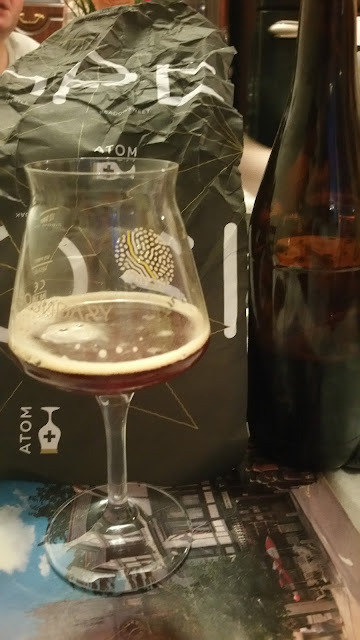 Lots of chocolate and a hint of orange and intensely bitter. Very tasty beer. Next we moved on to what to me is brutal packaging. Atom Isotope, a collaboration with Doctors Orders in Australia. It's a 10% Scotch ale. Very fruity with some chocolate however it runs in lots of different directions. To be honest, it was a bit of a mess. This kind of paper bag packaging is also terrible for taking photos when there's nothing on the bottle itself. It may be a bit of a mess but it was enjoyable nonetheless. The second beer from Atom was Darker Alchemy, an 8% imperial porter. This was also a bit of a mess but more so. A real rootbeer thing with medicinal iodine with weird liquorice stuff going on. Very bitter and incredibly odd. This one was undrinkable for all of us as I recall but certainly I poured it into the slops jug. 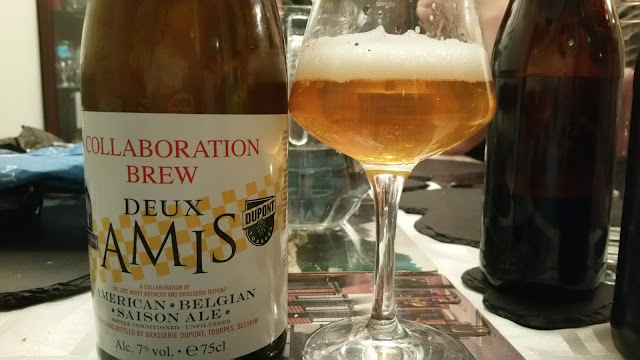 Deux Amis is a 7% saison collaboration between Dupont (who know their Saisons) and Lost Abbey. The name littrally translates into Two Friends if I recall my French correctly. Tastes like pear drops and is surprisingly bitter and astringent. This also got poured unfortunately which is a real shame as I believe it was quite expensive for Steve to buy. Going for a hat-trick in the pour-down-drain department was this Potato and Herb Stout from Munster Brewery. This was weird as hell and reminded me of the kind of herbs used on a roast chicken or Italian pasta dish. Very thin and for me, undrinkable however kudos to Munster for having the balls to try something like this. I love experimental beers as a concept even if I don't necessarily enjoy the taste of the beer itself. I'll stick with their Fir Bolg myself but for pure ballsiness, 10/10 for the one. 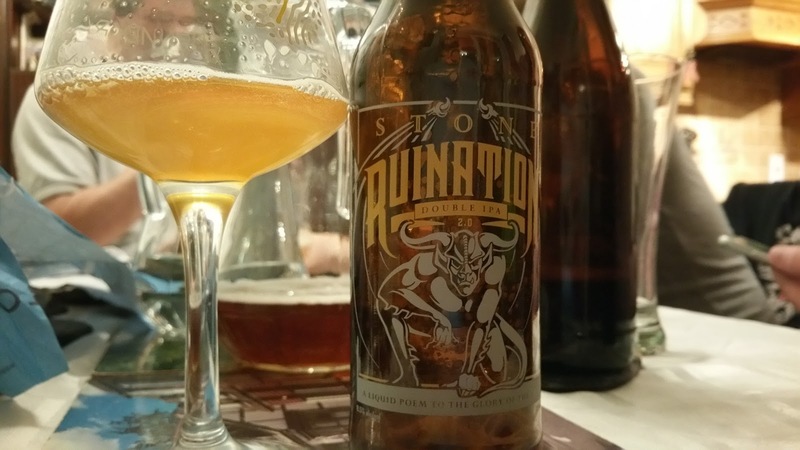 Back to Stone again and this time Ruination DIPA 2.0 which was lovely and fresh. Juicy and bitter. Nyom.... It's 8.5% ABV of heaven. Going bigger again but no necessarily better. 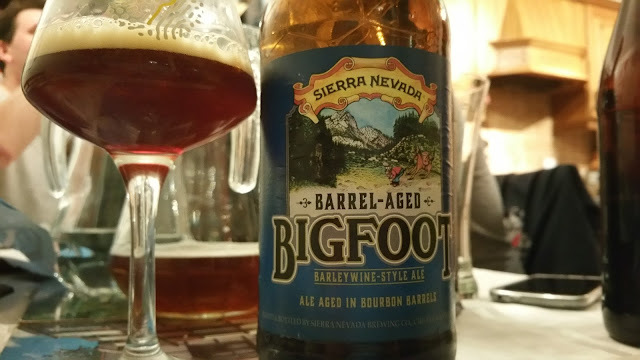 Sierra Nevada's Bigfoot is a favourite of mine but this one is barrel aged in bourbon barrels and it tastes it. In fact, that's pretty much all it tastes like, the charred oak of a bourbon barrel. Hard to believe but I poured this in the slops. Kernel's Mosaic Porter was harsh and astringent but it was 2015 after all. 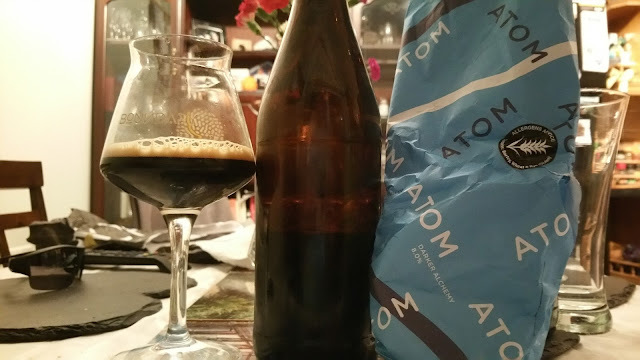 It didn't age very well unfortunately but I reckon it was probably a cracker of a beer two years ago. This one should not have been aged (forgotten). 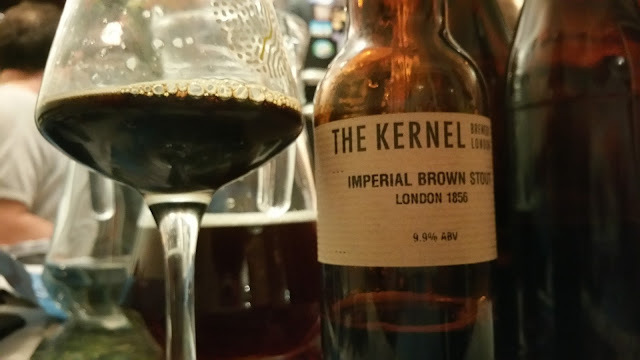 This Kernel Imperial Brown Porter on the other hand at 9.9% was able to withstand some ageing. Some of the guys who had tried it before said it wasn't as good as two years ago but it was a cracker of a beer for me so I wonder how good it was fresh? Actually I might be able to find out as I think I may have bought a bottle or two the next day. Clearly, V3 of Cloudwater's DIPA range is far from fresh. In fact, I seem to have neglected to take an any notes on this one so it was probably underwhelming at best. Maybe Steve can comment if he recalls. 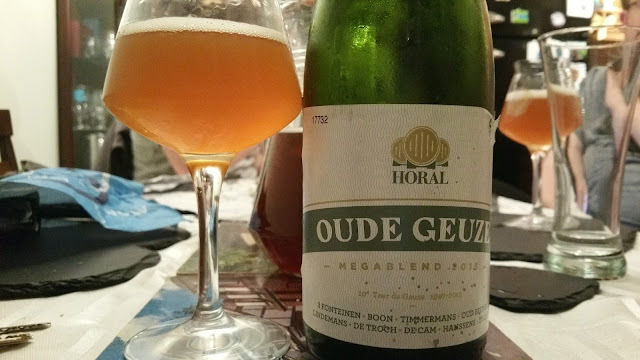 Horal Oude Gueuze Megablend from 2015 is 7% of nyom nyom. Sour but not quite cantillon levels. This is a collaboration with the lambic producers listed on the bottle. For the sake of completeness, we tried the 2013 version alongside the 2015 version and you know what? We really couldn't tell the difference which is rare considering there's two years between them. That said, considering how many big beers we had been sampling, perhaps we had some palate fatigue at this point. One thing was different though, the 2015 appeared to be a little darker. 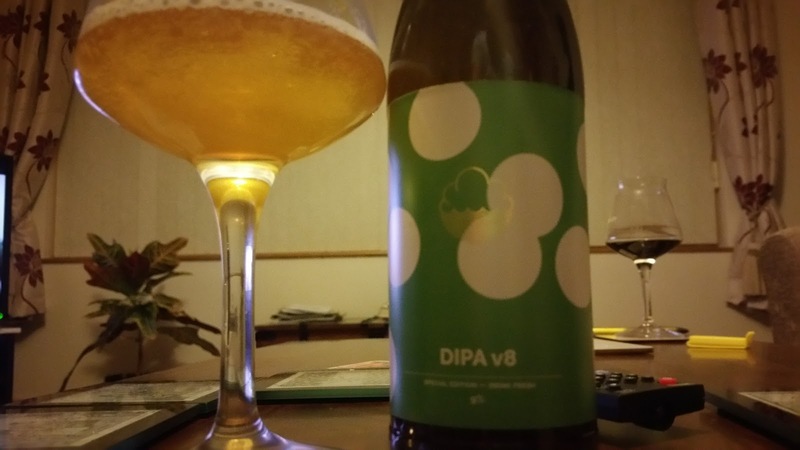 Slightly fresher but still on the older side, Cloudwater DIPA v8 was absolutely lovely. This has held up really well. 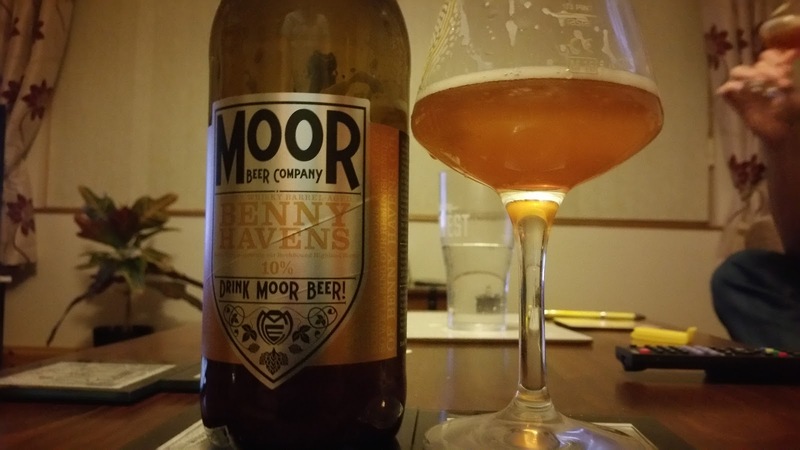 And lastly one Moor Beer. Benny Havens is a barrel aged barleywine at 10% ABV. I found it intensely sweet which isn't really my thing. There's clearly some barrel ageing and whiskey but the whiskey isn't the main flavour. There's a lot of heat here and in fact, this could probably do with a couple more years to mellow out. A good beer to finish our beer tasting on. There may have been a little whiskey after this before we crawled to our respective beds.